The idea of transforming Dubai into the 'smartest' and 'happiest' city in the world is an intriguing idea, but is it realistic? What makes Dubai a smart city? How can it be measured? What has the Smart Dubai initiative actually accomplished? In an exclusive interview, the pragmatic H.E Dr. Aisha Bin Bishr, director general of the Smart Dubai Office, opens up about Smart Dubai; her passion for eGovernment and the public sector, the collaborations essential to the Smart Dubai model, and how the citizens of Dubai can truly benefit from the work that Dr. Aisha and her incredible team have accomplished. Where did your Smart Dubai journey begin? My PhD thesis was around eGovernment as a case study for public innovation. I was in love with the idea of serving the public sector. When I started studying Business and Information Technology, I was exposed to eGovernment when it had just been launched. I got to meet a lot of individuals involved with the eGovernment office. I established my career starting from the Department of Tourism, to the Executive Council and the Ministry of Labour, until I came into the Executive Office of Smart Dubai. When I was in the Executive Council from 2007-2008, I worked on a low-profile project called Digital City, to see how we could benefit from the digital city trend and make Dubai one of these digital cities. We did a lot of global benchmarking. In 2013, His Highness Sheikh Mohammed Bin Rashid Al Maktoum, vice president of the UAE and ruler of Dubai, launched the Smart Government initiative which announced that government services would be available 24/7. That was the perfect time to bring back the digital city concept, but instead rename it as a 'smart city' project because the term was picking up around the world. His Highness approved the concept, but he didn't want it to be IT-driven, but more people-driven, and that it should "promote happiness, with technology only as an enabler." From there, we started the journey to Smart Dubai. By that time, I was the assistant director general of the Executive Office and I led the task force behind the initiative. Now, I am leading the office as director general. Can you expand on Smart Dubai's long-standing focus on peoples' happiness, and how this factors into your strategic decision making? Happiness has always been the main goal behind our projects. Peoples' happiness is a very important issue for His Highness. That is why we have a Minister of Happiness, with a mission to make Dubai the happiest city on Earth. From a smart perspective, we are using technology as a tool to enable this and fuel innovation. We are working towards making Dubai a happy place to live by, providing tools for managing and governing data (Dubai Data Establishment) and having a smart platform, an ICT project to enable not only decision-makers, but also private individuals and the private sector to get involved with day to day tasks to become more aware of their own decisions. How is Smart Dubai making sure that peoples' happiness is taken into account at every step? We launched the Happiness Meter two years ago. We are gathering data from every interaction point in Dubai to try to understand if people are happy or not. This dashboard is reported back to all decision makers in our city. With the Dubai Now app for example, we can see the reactions of people throughout the city when they interact immediately with their service provider. It acts as a heat map for us to know how things are moving in the city. What we are also doing is pulling all of this data and embedding it in our blueprint to understand exactly what we need to implement, whether from an environment perspective, or mobility, or from a governing perspective. We are taking all of this input from people to make sure that all of our initiatives and projects will fulfil their needs. Smart Dubai is collaborating with partners across the public and private sector, such as du for the Smart Dubai Platform. Why is this collaborative approach effective? If you look at any other city with a smart city plan, each entity will work by itself, but will have their own technology vendor that provides solutions to address their challenges. When we said we want a smart project that will cover the whole city, we realized that it is a holistic project and not only governmental. There is a role for the government to play, but there is also a role for the private sector to lay the infrastructure, a role for private individuals, a role for academia and so on. That is why collaboration is at the heart of our methodology when we implement our agenda. Du understands that we want a business model where the partner is willing to take risks when implementing something new like the Smart Platform for Dubai. But we also have other partners when it comes to the government sector; founding partners who are part of the founding committee and also part of the Smart Dubai board. We have a road map of 100 initiatives and 1,000 services which are only possible thanks to our partners who are contributing to this roadmap. For instance, Emirates Airline has contributed with its digital transformation agenda, and so have DIFC, Tecom, Dubai Mall, plus the private sector when it comes to health, education, etc. All of them are on board with Smart Dubai to add more to the roadmap. Soon we will be introducing smart certification where we will certify private sector players who are adding a lot to our agenda when it comes to smart or digital transformation. For instance, Careem, a small entity in the private sector grown here in Dubai, has added a lot to the smart city roadmap today. We want these kinds of entities to come on board with us to add value to Smart Dubai and see all components of Dubai become smart. What can we look forward to from the Smart Dubai Platform and other collaborative projects? One of the main things from Smart Dubai that the public will soon become familiar with once it is up and running, is government services as a digital platform. It will be available for the whole government which will lead to a more efficient utilization of government sources. When it comes to Smart Dubai, we have four main principles: efficient, seamless, safe and impactful. All that we do needs to follow these principles and make sure that these principles are implemented in our projects. The platform will be the area where the data of Dubai will be published, open for sharing and for the ability to conduct analytical studies. The platform will aid the users with such capabilities. All what the citizens have to do is register. What is the Smart Dubai blueprint, and how is this differentiating Smart Dubai from other cities? When we started the dialogue about Smart Dubai, the first step we did was to benchmark to see what other cities are doing. We put ten major global smart cities on our radar, all of them addressing energy, utility, water, or mobility and transportation. What we didn't find was a city that covered all aspects of life. We decided that we needed to do our own blueprint. Because it is a technology-focused project, it means we need to understand our infrastructure and what other elements we need to design to ensure that our agenda is implemented well. We sat with all of the major ICT companies who each brought their own agenda – a set of functionalities in their platform, such as strictly internet of things-focused or strictly data-focused. 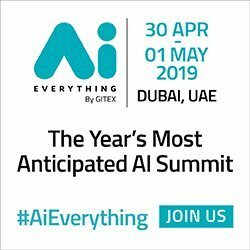 For Smart Dubai, we wanted everything. We decided to design our own blueprint which took us almost two years. We took it to different international platforms to test its effectiveness, and luckily we received positive feedback and contribution. When you go to any other city and you ask what blueprint they have, answers will include Cisco blueprint or IBM blueprint or Microsoft blueprint. In Dubai, we are proud to say that we have our own blueprint designed from scratch for our own needs and challenges, ensuring that happiness is at the heart and covers our principles. Our blueprint covers all of the dimensions of a smart city framework, such as mobility, environment, people, governance, living (health and education), addressing all aspects of life. 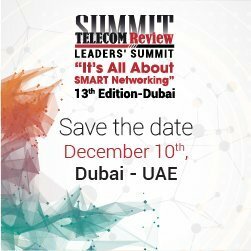 Can you tell us about the Smart Dubai Index with ITU (International Telecommunications Union)? His Highness said that he wanted Dubai to be the smartest and the happiest city. We knew that there was a happiness index run by the United Nations, but there was no smart city index. During our research, we found various reports on smart cities, but no index directly for smart cities.Some of the reports, led by ICT companies, see Vienna as the smartest city, while others see New York or Barcelona as leading smart cities. It all depends on the commissioner who wrote the report, but there was no international body that could come and measure a city by specific KPIs and other elements that a city needs to follow. Internally, we developed our own KPIs, taking the principles into consideration and the blueprint, having all of the social dimensions and also the ICT dimensions. We found out that ITU has a focus group talking about smart cities. They have a standards system for sustainable cities, and smart is one dimension of that standard, but not a full index to benchmark a city against another. We decided to work with ITU to help them make a smart city index. ITU signed a MoU last year with Smart Dubai to take Dubai as the first piloted city to implement the KPIs. They took our KPIs, studied them and decided that the KPIs were sufficient for other cities to use. We expect that by next year, ITU will release their index. Any United Nations body takes a long time to develop an index, so we are working with ITU to help with the process. What other accomplishments have come from Smart Dubai? Dubai Data Law was launched in November 2015, and the Smart Platform was initiated just a few weeks ago. Dubai Now was a step by our team to design a platform wherein all of the services of the city are located in one place. We started with only government entities, where an individual can sign in with a username and password, and do all their government transactions in one easy step, instead of accessing municipality services separately under different usernames. Now we are introducing a similar platform for the private sector where you can pay all of your telco bills at once. We are hoping to bring more private sector services to be hosted under Dubai Now. The purpose of Dubai Now is to give individuals the freedom to design their own services. By building a platform, this will allow us to reach that level. A lot of these initiatives are in planning/theoretical stages. When can people start seeing real impacts? We have just completed the first phase of Dubai Data where we have opened eight entities in the government. By June, we will publish it in a 3D visualized platform just to give a feeling of how open data can benefit people. Don't forget that this is something very new to this region, opening government data and allowing others to interact with it. Later on, the government will not only provide services, but provide data, where entrepreneurs or startups can design services in-line with the government data. Hopefully, by the middle of this year, we will see this implemented. Once the platform is up and running with lots of data, we will begin to see the benefits for all types of businesses to come on board to use the data for their benefits. What is the main challenge that Smart Dubai has faced? One of the major challenges for Smart Dubai is collaboration, which is a big part of our model. To tackle this challenge, we have introduced a new division called Stakeholder Management to manage our stakeholders in a collaborative way. One of the ideas we are implementing now is to design hubs for different industries such as registration, tourism and trade, where we bring people from different sections like business, private and government, to brainstorm about what challenges the city faces, and how we can enable solutions for them. We know that it will take time to address the challenge of bringing everyone together to see the same picture.